Joe Johnson wore his player exclusive shoe during the 2011 NBA Playoffs that looks very impressive! It was never scheduled for release, but this signature shoe is now circulating in the market! 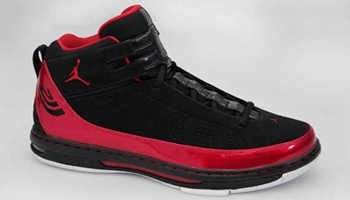 This Joe Johnson player-exclusive shoe features a black leather upper with varsity red accents such as MJ’s number 23 and Johnson exclusive logo near the sole of the shoe. The shoe is simple, but every signature shoe is a must-buy especially one that is as rare as this one! New Jordan TE 3 Low Out in the Market!